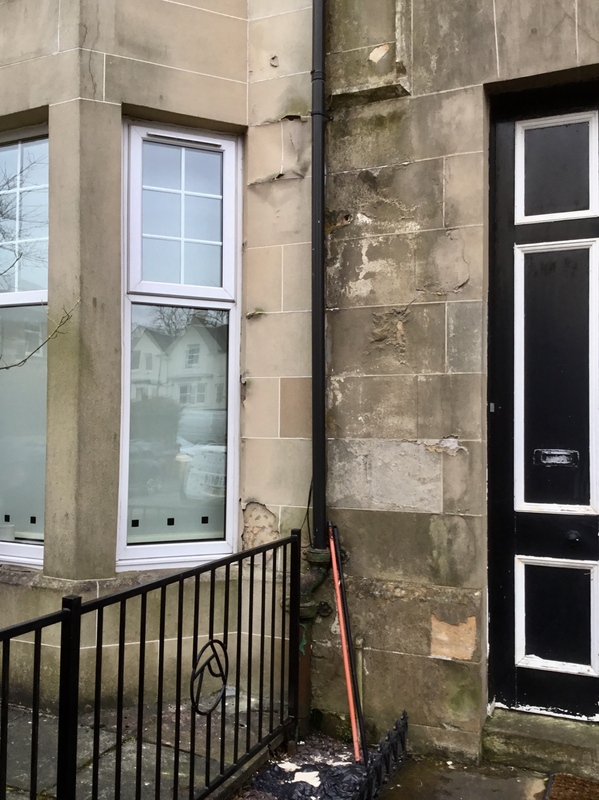 'Linostone' is the generic name for a stone coating that has been used extensively in Scotland, especially in Glasgow and Edinburgh and is still used today. 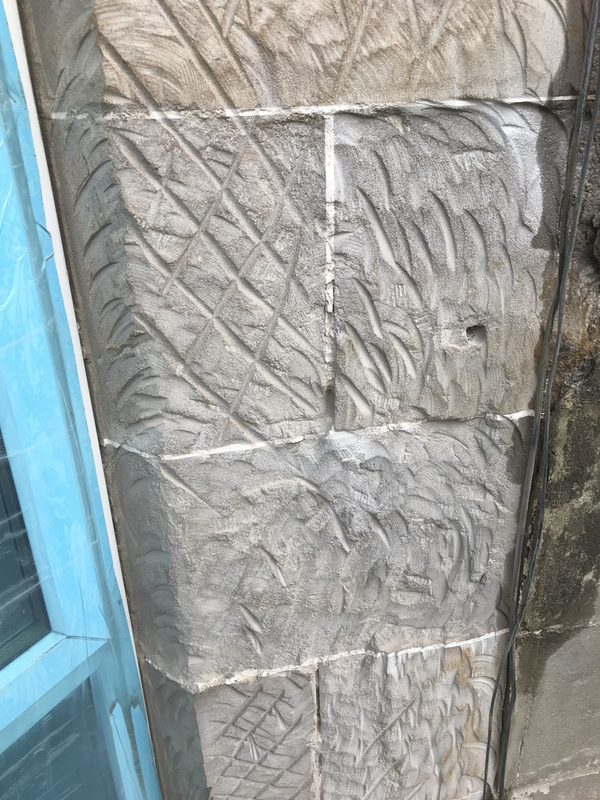 It was patented in 1960 and was used originally for the aesthetic improvement of deriorating sandstone buildings and later also for the repair of spalling or friable stone. 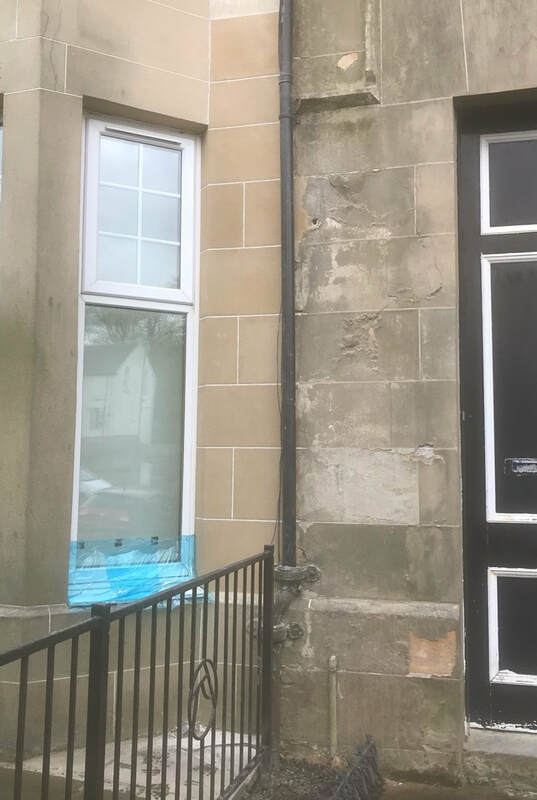 Originally touted as a waterproof, flexible, breathable solution, it is mainly composed of resin, sand and pigment which is applied to the sandstone as a 2mm thick layer. 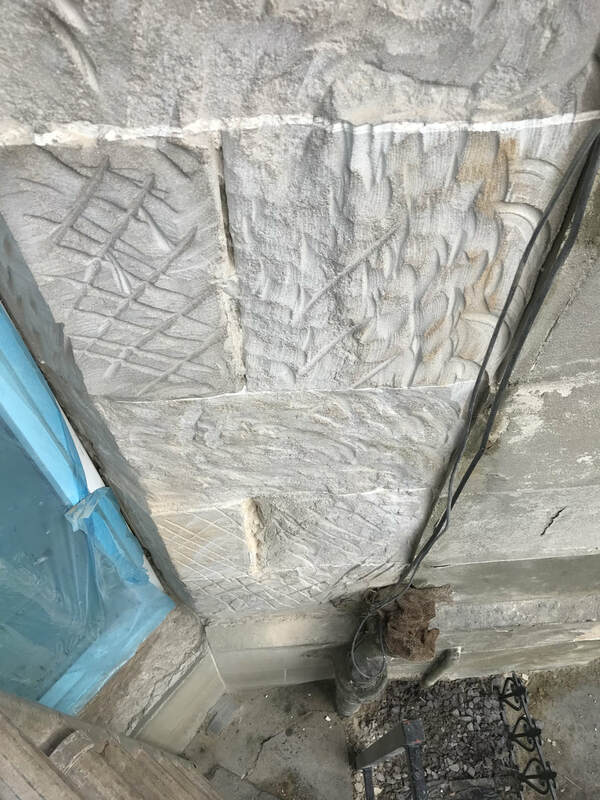 Invariably cement repairs were carried out prior to its application and are one of its main causes of failure. Once water gets in behind the 'Linostone' it cannot escape, blistering occurs and the sandstone behind quickly deriorates. 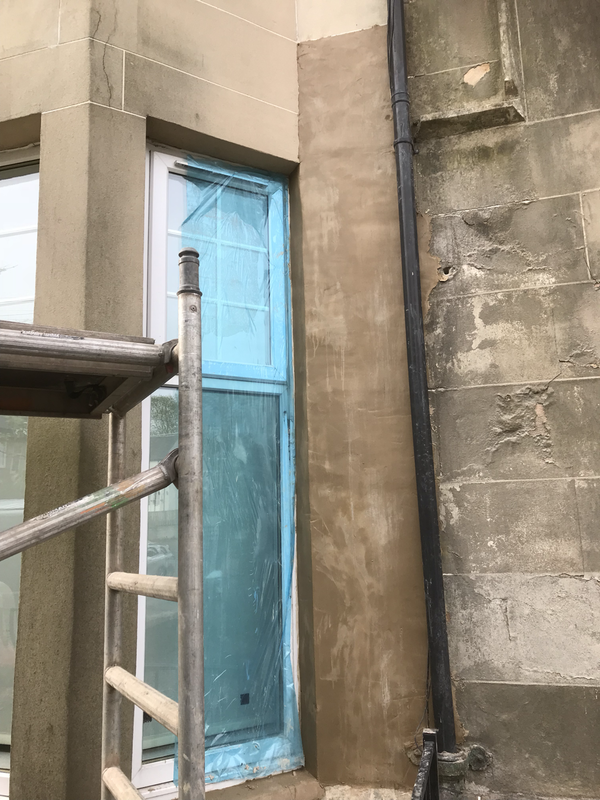 The building below had been completely coated in 'Linostone' and we were asked to repair a particularly bad section which was blistering. 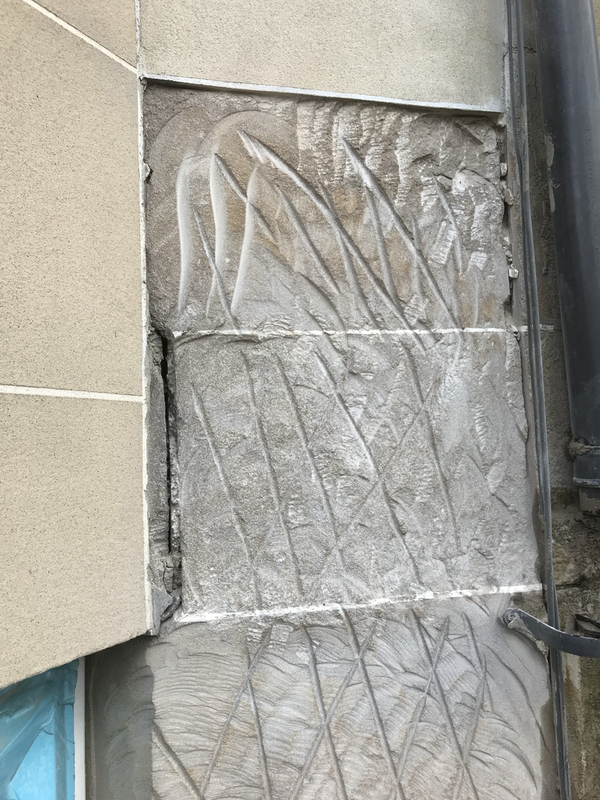 After taking off the top layer which came away in our hands, we removed the cement repairs behind then scutched back the crumbling sandstone until we reached a sound surface. Colour matched, lime-based Lithomex was then applied, worked up and pointed to give an ashlar finish.